Drop JPEG, GIF, TIFF, PNG or PDF files onto the nice big target. You can drop multiple files, or folders. VelOCRaptor converts the character shapes to lines of text, and generates a PDF file with the original image and the text. Once reading is complete, you can save the PDF file with the image and text, or just copy the text you need to the clipboard. The Save button will save in the same folder as the source file, or use Save As to select another folder. Spotlight will index the generated PDF file, so you can find it anywhere on your Mac by searching for text in the file. 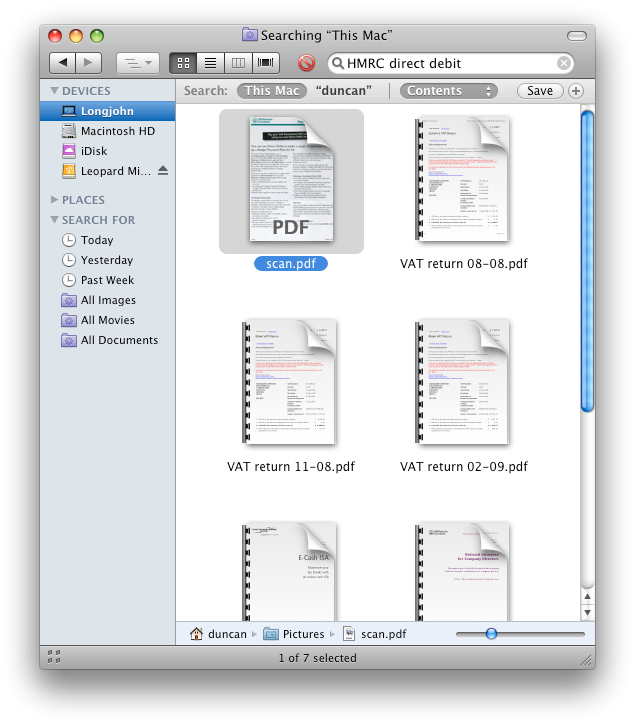 When you open the PDF, Preview (or any PDF viewer) will show you the original scan. The text is there too - you can highlight it, and copy it to the clipboard. 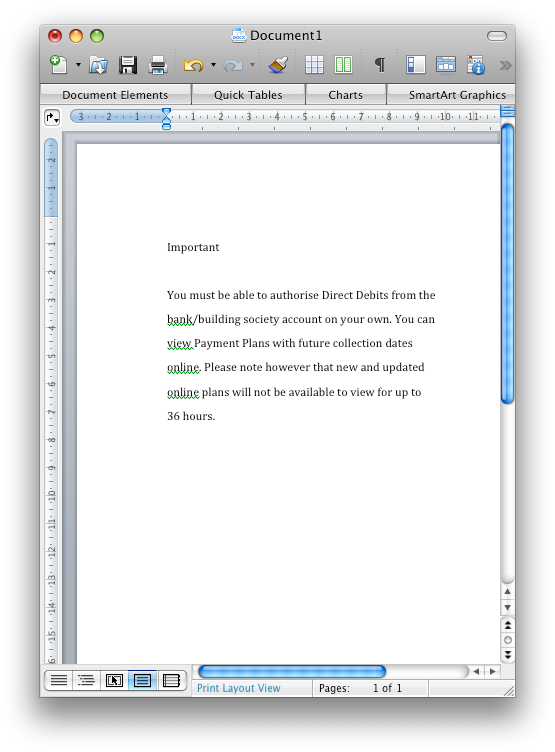 You can paste the text into your own documents, so you don't have to type it in. Optical Character Recognition (OCR) converts printed type into text. 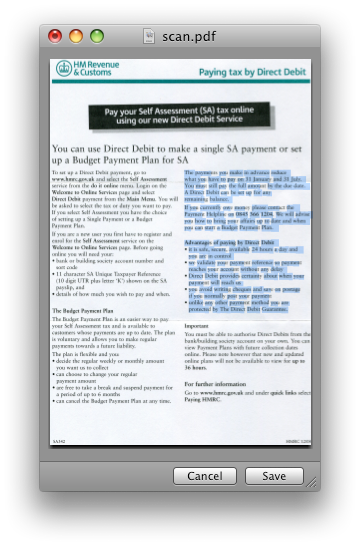 Until now OCR programs have been too expensive and too complicated for occasional use. VelOCRaptor makes OCR available to all Mac users - offering drag-and-drop simplicity at an introductory price of just $29. VelOCRaptor uses the Google-sponsored OCRopus OCR engine. On good quality documents its accuracy rivals the best in the business. 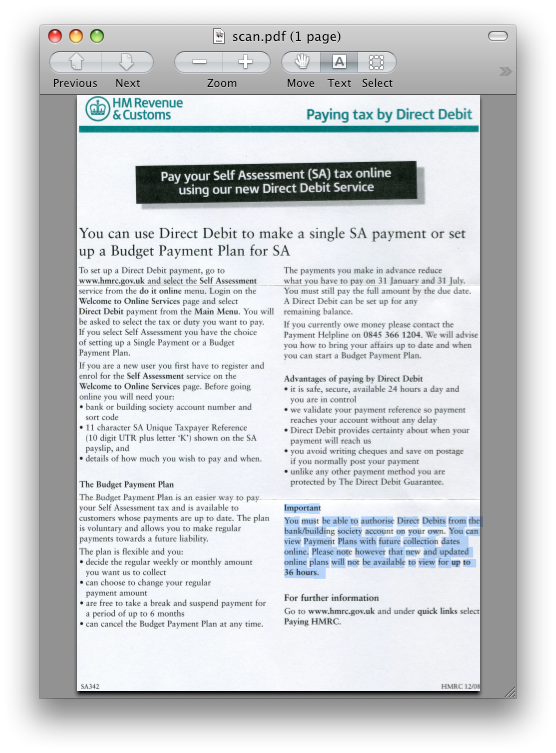 It is work in progress though - we know that with poor quality scans and odd fonts it can still struggle. We're so excited by its potential, and so unimpressed by the price and usability of other Mac OCR programs, that we've decided to make VelOCRaptor available now. For many uses, in particular locating scanned documents and copying small amounts of text, the accuracy is good enough. For verbatim transcriptions of complicated documents, we may not do so well yet. This will improve as the OCRopus engine improves, and we are committed to releasing updated versions of VelOCRaptor as the accuracy gets better. In the meantime, you can try before you buy, so what have you to loose? If VelOCRaptor doesn't suit, try our competitors. 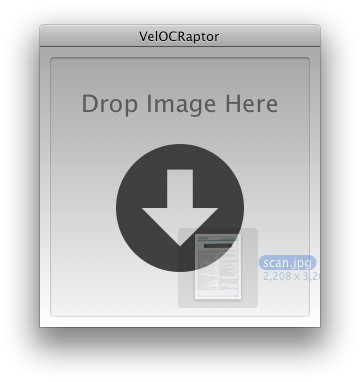 You could watch the screencast to see if you think that VelOCRaptor might be useful, then download it and try it out on your own documents. If its useful to you please buy a licence for $29, or leave feedback so that we know what we should be doing better.